With Star Wars: The Force Awakens hitting theaters in just a few weeks, we are in a Star Wars frenzy over at my house. 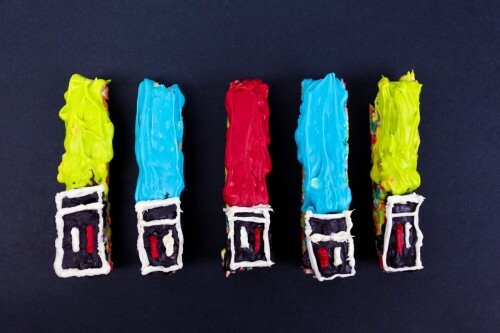 These Star Wars Lightsaber Cereal Bars are a fun snack for Padawans and Jedi Masters! 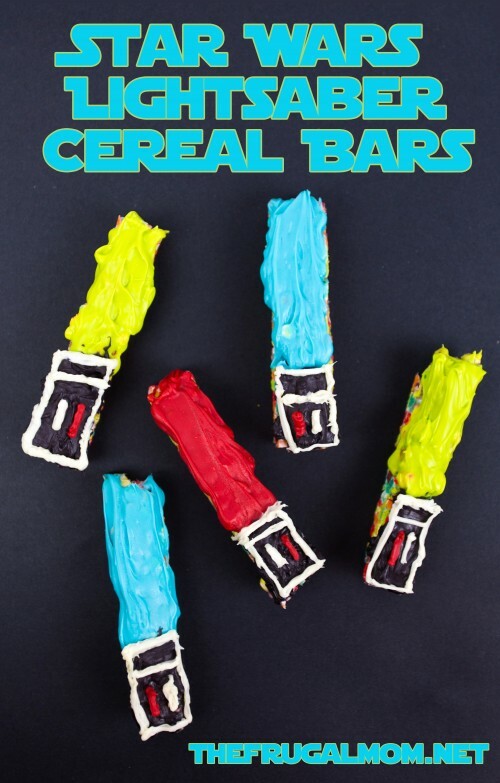 My son was excited to use our favorite cereal to create these Star Wars Lightsaber Cereal Bars — especially since the cereal boxes now come as limited edition packages that feature six collectible, droid view finders shaped like characters from the new movie! They are pretty fun! 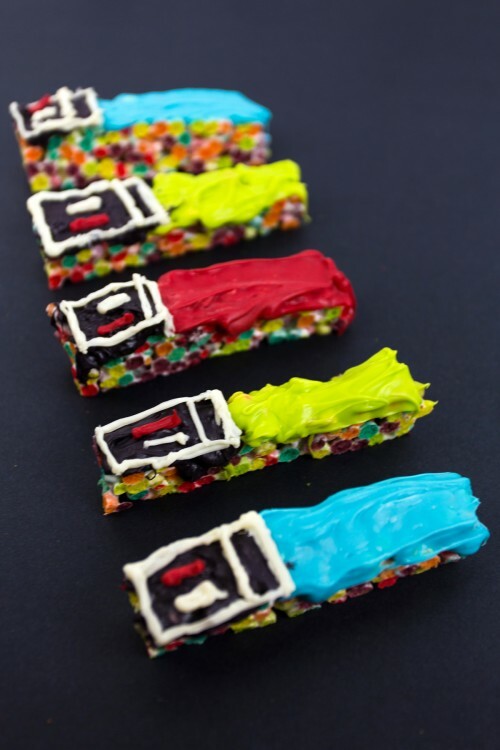 We used Trix to make our Star Wars Lightsaber Cereal Bars, but you could use any of the delicious flavors! In a large saucepan, mix together the marshmallows and butter on medium heat until melted. 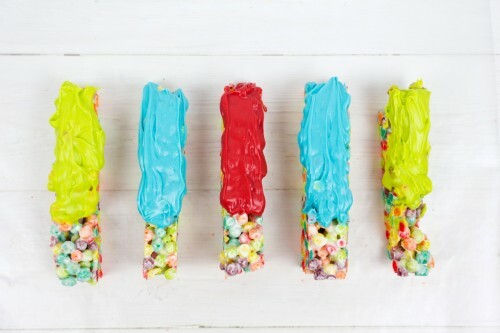 Pour in the cereal and mix until it is completely coated with the marshmallow mixture. 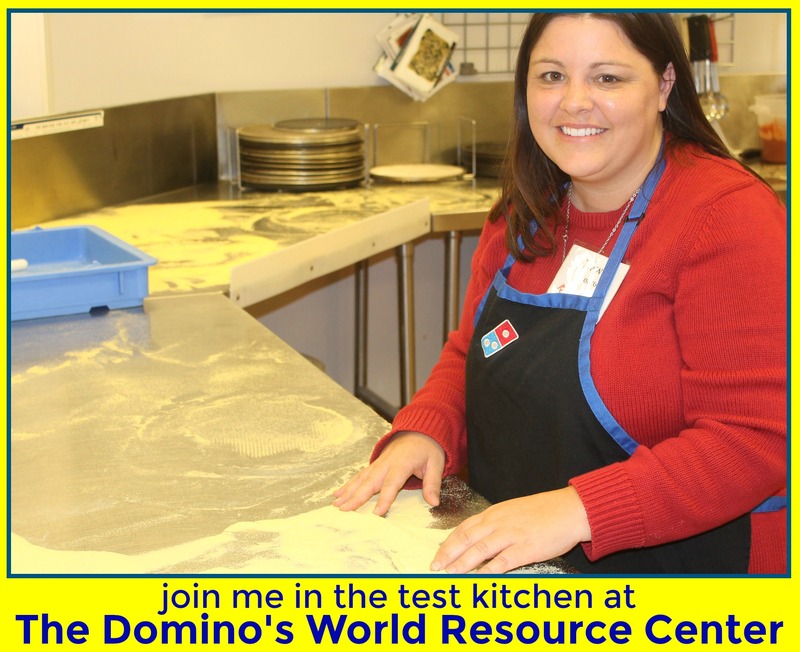 Press onto the lined baking sheet in a thin layer. Let sit for several hours until hardened. 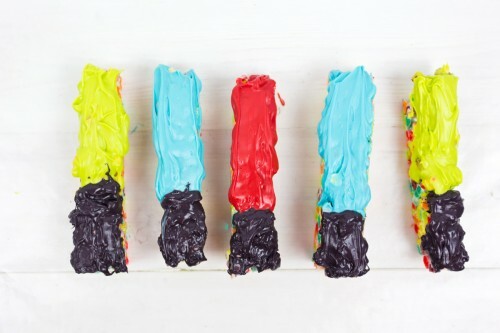 Cut into thin bars and get ready to decorate them! 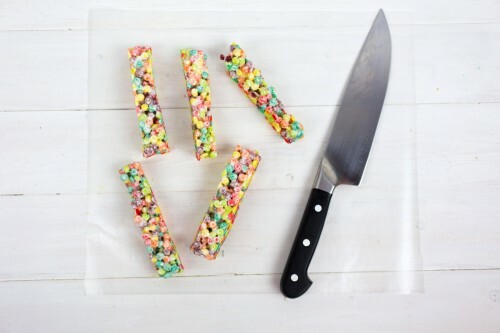 Prepare candy melts according to package directions. Spread the green, blue, and red over the top 2/3 of each bar. This will be the top of your lightsaber bars. Spread the black candy melts over the bottom 1/3 of each bar. This is the handle of the lightsaber. Allow to harden completely. 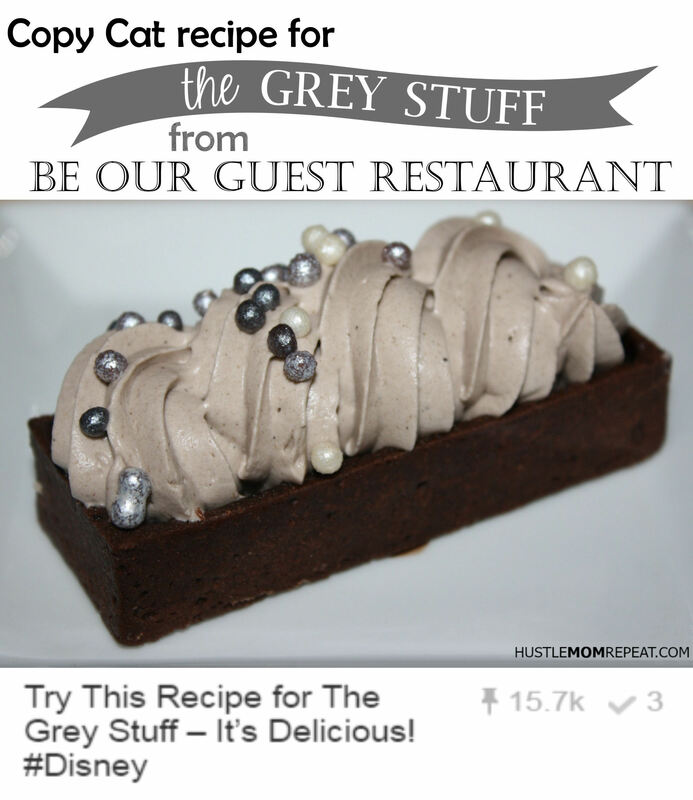 Add the white candy melts to your candy piping bag and prepare according to package directions. 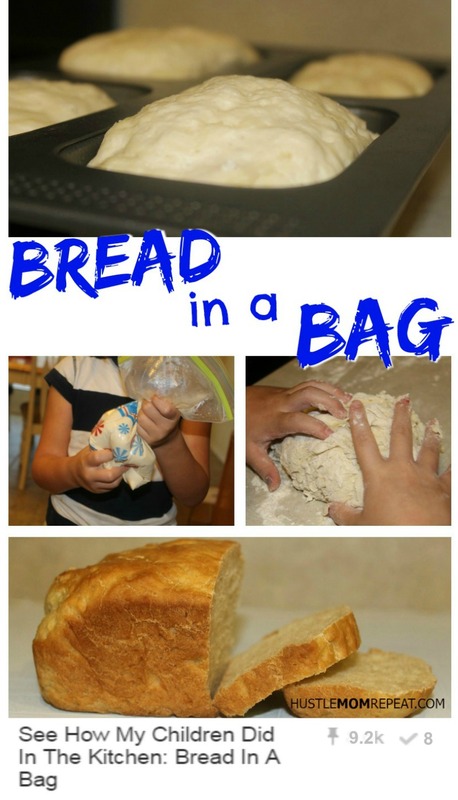 Snip off the end and outline the “handle” in white. Add lines for buttons. 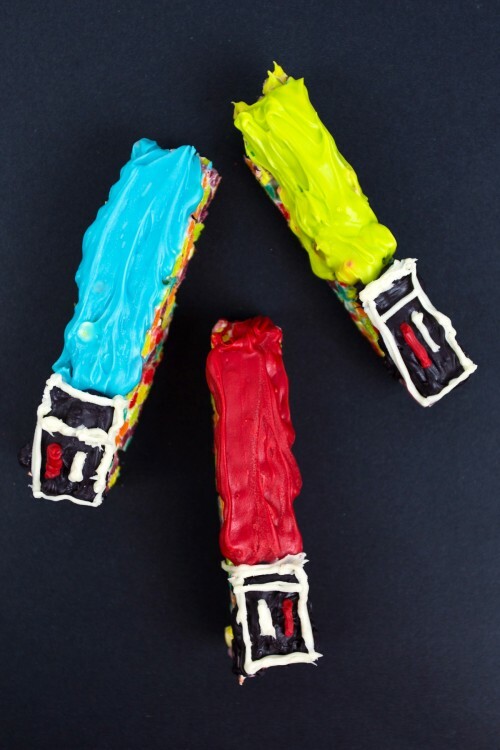 Once your candy has set, the bars are ready to serve!